Is what you write worth publishing? Once upon a time, that wasn’t your choice to make. It used to be that the threshold to publication was as high as the transom. The only way most people could hope to cross it and break into print was through an unlikely toss over a publisher’s front door. The Web, of course, has flung the door wide open, and there are few barriers to publishing left standing. One significant one, however, remains: The fear—or conviction—that your work isn’t good enough to deserve publication. Even though the power to publish is entirely in your hands, you may not do it. Whether you call it the lizard brain, or the Resistance, or simply taste, most of us have personal quality filters that aim to eradicate anything we perceive as flawed. These filters are reinforced on a larger scale by devices like best-seller lists or books such as Andrew Keen’s The Cult of the Amateur, which either by effect or intent try to set limits on what is worth writing, publishing, or reading. Wouldn’t we all be better off if we didn’t spend so much time writing, reading, or otherwise consuming second-rate content? Sure. But here’s the problem. While it’s obviously true that 95% of content is crap, what isn’t so obvious is which part is crap and which isn’t. You may think you know. But statistically speaking, you probably don’t. Most of us just aren’t very good at judging the true worth of content. This has always been the case. In the 19th century, for instance, literary judgment was often dead wrong. I realized this back in my grad student days. Once, when roaming the seventh floor stacks of the enormous Olin Library at Cornell, I came across an impressive, luxuriously bound set of the complete works of a British writer named George Whyte-Melville. 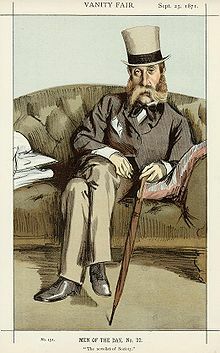 Whyte-Melville, I found, was a popular and well-regarded novelist from the 19th century. Though I was a student of that period’s literature and had been grinding through a book a day from that era for the past year, I’d never heard of him. I sampled a few of his novels. They were, to put it charitably, unremarkable. Yet at the end of the century, some publisher had determined that there was enough interest in Whyte-Melville to justify an expensive set of his books. At the very same historical moment, Whyte-Melville’s semi-namesake and near contemporary, Herman Melville, had not a single book in print. 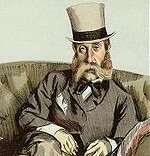 Despite some popularity at the beginning of his career, he had fallen into near-complete literary oblivion by 1900. Twenty years later, the literary world finally came to its senses and now the right Melville is justly celebrated, the other sensibly forgotten. The fact that so many could be so wrong in their judgments of what’s worth publishing underscores for me the importance of simply publishing everything and letting circumstances and posterity sort out what was really worth it. Unlike Conover, I wouldn’t write off “MFA programs, book critics and humanities professors.” Nor do I think one should completely ignore Andrew Keen or one’s lizard brain. Now and then, they all have good points. But in the end, when you’ve done the hard work and it comes to deciding whether or not to publish, the answer should almost always be, “Do it.” You might think it’s not good enough, but as history suggests, you might well be wrong.